Hello again! I can’t believe it is already the end of the school year – in fact you may already be done when you are reading this – if you are I am jealous! As I begin to pack up my classroom after 15 years I am trying very hard to take note of the organization systems and decor that work and to purge all of the items I have been holding on to for way toooo long. This year was my first year using magazine holders to organize in my classroom and I love them. 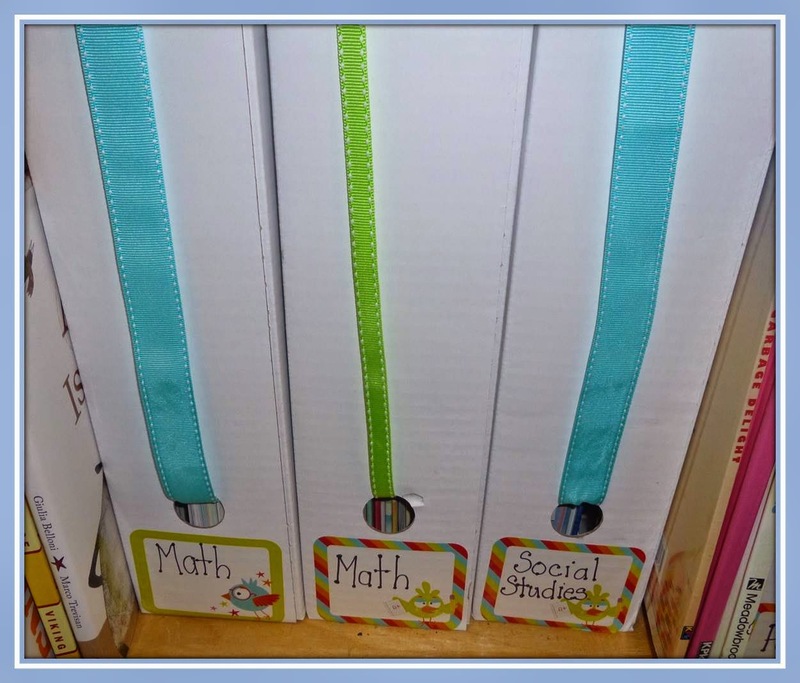 They are an organizational tool I will definitely be carrying over to next year. I purchased the magazine holders from IKEA – they come in sets of 5 for about $3.00. I have already started purchasing them for next year! Here is how I used them in my classroom this year. 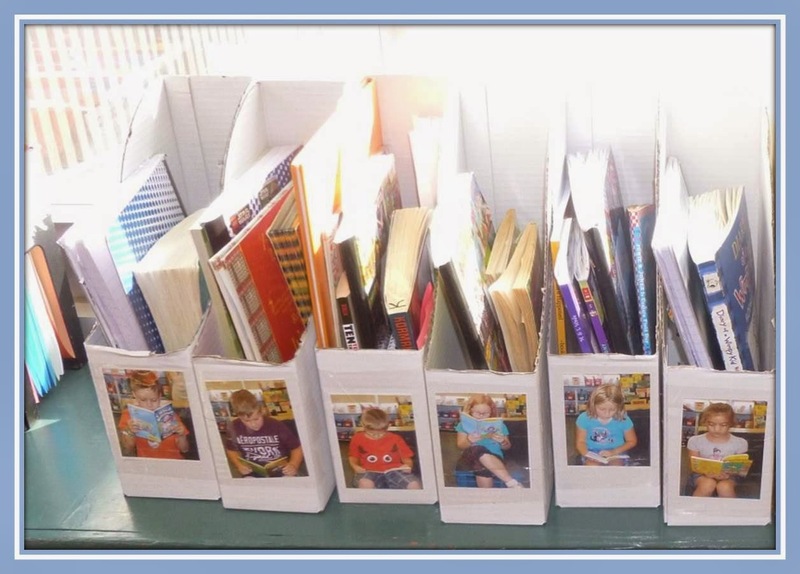 Student reading boxes. We used the boxes to hold books that the students were reading during independent reading and their guided reading books. They also held their reading notebooks. Often times they were also home to sticky notes, mini-laser lights and other fun tools that we were using during guided and shared reading. My favorite part – their pictures on the boxes! I took their pictures the first week of school while we were building up our reading stamina. Mentor texts. I used the magazine holders to group my mentor texts. I also added the ribbon to pretty them up a bit (that is my favorite part). The only problem – they do not fit perfectly on my shelves – some shelves are just a teeny-tiny bit too short, ugh! Weekly planning. Earlier in the year I tried labelled trays and drawers but those did not work for me. 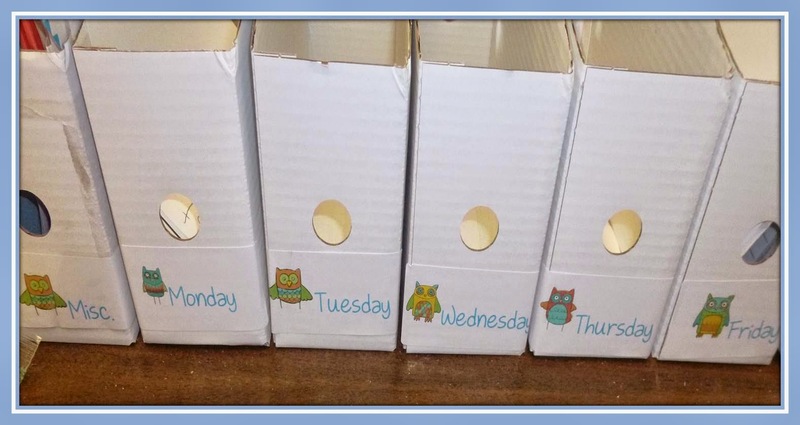 I switched over to the magazine holders, put labels on for each day of the week, plus one for learning goals that I print ahead of time and post and one for miscellaneous items (often the most full box!). I put copies in the boxes along with any mentor texts or resources I will be using. Since I will be moving on to a new school and maybe even a new grade level I have changed the name of my blog – so if you decide to pop over to Looking from Third to Fourth you may just find Elementary AMC – hope you will take a minute to look around : ) Have a great summer! Disclosure: There may be affiliate links in this post. If you click through and make a purchase, I may receive a commission at no additional cost to you. T hank u for your time. FREE Classroom Systems Starter Kit! FREE Time Management for Teachers Pack! Want to Learn How to be a Teacherpreneur?